Most users will download data either once a day or once a week, depending on requirements and regulations. With LogTags, the process is quick and simple. Step 1. 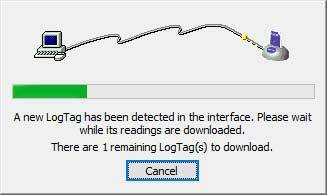 Open the LogTag Analyzer software. Step 2. 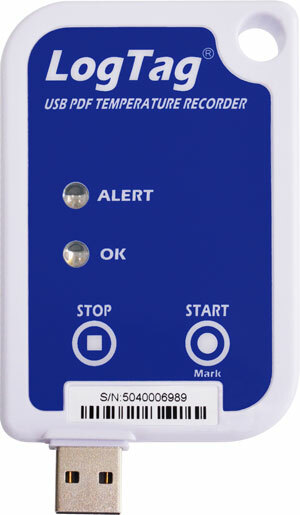 Retrieve the LogTag from the refrigerator or freezer. Press and hold the Start/Mark button for about a second. Both lights will flash briefly. This will put a mark on the results graph that you can reference. Insert the LogTag in the Reader so that the metal contacts at the back touch the contacts in the reader. 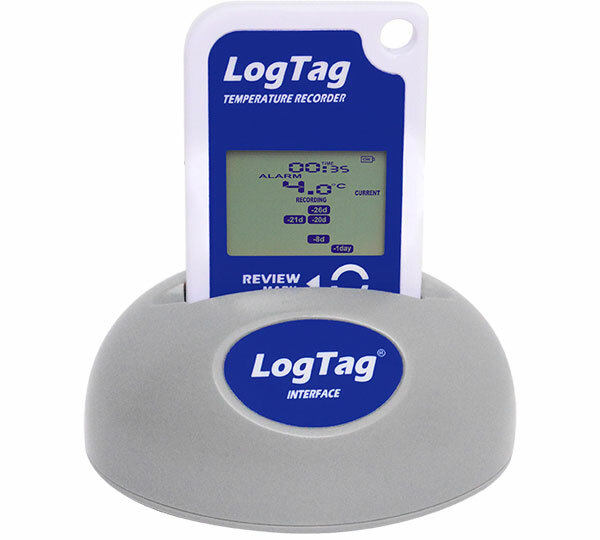 The LogTag with USB will connect to any USB port on a Windows PC. In some cases, the physical size of the LogTag makes it difficult to insert into laptop ports. If this is the case, you can buy a short USB extension from most computer stores that will make it easier. A box (Figure 1) will briefly appear telling you that the Reader has found your LogTag. 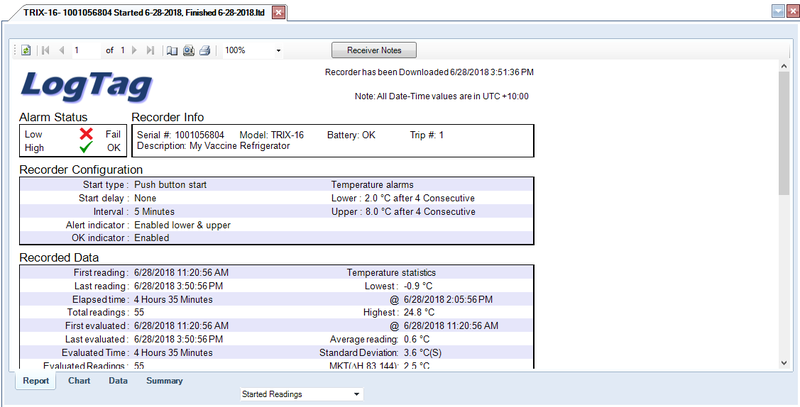 The Reader will read the data from your LogTag and save it to your computer. Once the data has been saved, LogTag Analyzer will automatically open your report. Important: As soon as the report appears, you know that the data has been saved, so it is OK to remove the logger from the reader (or the USB port) and return it to the refrigerator. By default, the graph will show first. The other sections can be accessed by clicking on the tabs at the bottom of each page. The easiest way to check if everything is OK is to click on the Report Tab at the bottom of the screen. 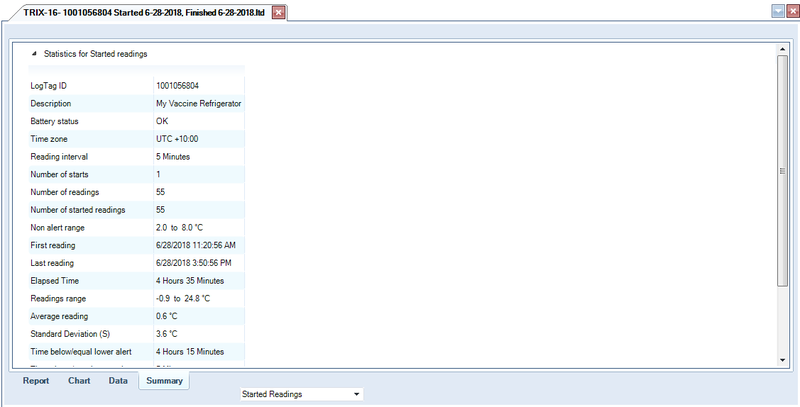 At the top left of the Report should be two green ticks showing the Alarm Status for both low and high temperatures. If you have a red cross, instead of a tick, you know something is wrong. Look for a section of the Report labelled Recorded Data. 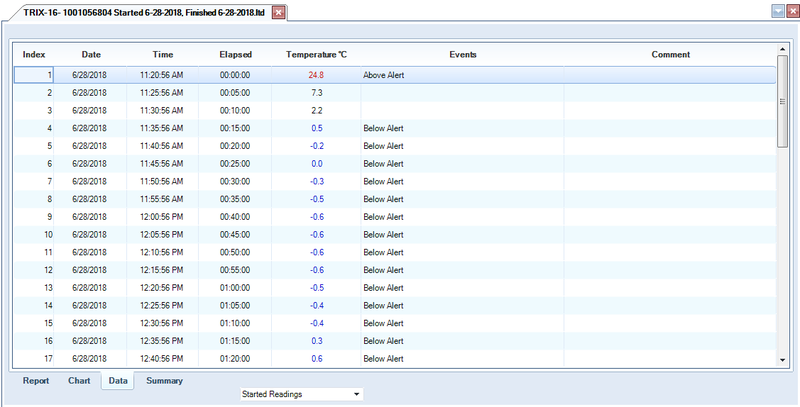 In the second column of this section it will show you the Temperature Statistics, including the lowest and highest temperatures experienced by the logger. Below this, you will find details of the alarm. 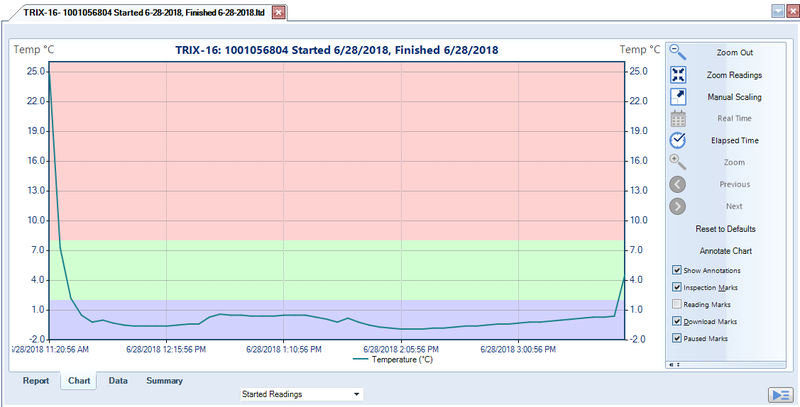 This will tell you how long the temperatures were out of range.